Lawyer Ratings’ Services Identifying the Nation’s Best Lawyers: Are They Real? Conducting an Internet search to try to locate one of the nation’s best lawyers for your case is a daunting task. It seems that some of the “seemingly” best attorneys have dozens of badges and accolades displayed on their page to signify excellence within the legal profession. Plus, as opposed to doctors and dentists, the legal profession appears to have nearly 100 lawyer rating services. In reality, the Internet has produced many millions of ways to generate income from entrepreneurial companies and individuals. This has spawned services that purport to provide credible lawyer ratings. Some of these impressive looking or impressive sounding awards are not based upon research and peer-recognition. Most are “pay-for-play” services that solicit ANY lawyer in America who has a Bar card for money to be allowed to display their badge. Cheap attorneys or average lawyers with no real, industry-recognized qualifications or credentials can use their badge to try to lure clients by paying $300 to $1,000 per year to these fake credential services. Martindale-Hubbell started undertaking this task in 1868, but they had no real “competition” for tabulating attorney reviews to create a mechanism for getting a law firm ranked for “quality level”. When the author began law practice in 1976, the objective of being recognized and highly ranked seemed like a pipe dream, since both experience and courtroom results were needed. This tacit monopoly of Martindale for identifying (by lawyer ratings) the nation’s best lawyers lasted for over a century. Getting any rating usually took a decade or longer. Under the Martindale system, a “cv” rating was for an “acceptable” lawyer, a “bv” was for a good attorney and an “av” was only given to the best lawyers. So, the highest rating for Martindale in the late 20th Century originally was “av” for top-rated lawyers. Several other enhancements and characterizations of lawyer ratings (e.g., preeminent and 5.0 of 5.0) have been added to try to go toe-to-toe with the new, upstart companies. Martindale-Hubbell would NOT advance your rating without obtaining evaluations from a substantial number of proven leaders in the State Bar of your city location. This ranking system was tough and very accurate in identifying the very best attorneys in America. Then, Chambers USA, an offshoot of a British company, started featuring attorney reviews of an organization deemed to be the best business and litigation firms in 1990. In no way did Chambers attempt to rate ALL lawyers in America. Chambers investigates various legal profession firms, gets feedback from those who have dealt with them. Then they rate law firms engaged in representing commercial litigation, intellectual property, business, and technology law practice. No criminal law firm, traditional personal injury lawyers, or workers comp attorneys can apply. Even if they are undisputedly some of the nation’s best lawyers, they will not be rated by Chambers USA. All other organizations that offer attorney reviews for public recognition have emerged in the second decade of the 21st century. The landscape changed after Google and many others started offering search position rankings following the advent of the Internet. 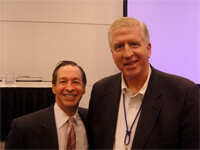 Super Lawyers was started by entrepreneurs, and (after growing) was then bought by legal industry giant Thomson-Reuters. Even with significant commercialization after the acquisition, Super Lawyers is still considered to be the third most selective, peer-reviewed lawyer rating service in America. Thomson-Reuters wanted to own it to help cross-sell its other legal services. Although they are much smaller organizations, Best Lawyers in America is the most selective of all attorney review services and then Martindale is the second most selective lawyer review service. Similarly to how Super Lawyers was bought out by Thomson-Reuters, Martindale-Hubbell was purchased by Lexis-Nexis. Getting named to these lists, especially Tier 1 at Best Lawyers, is very difficult to accomplish. However, all of these businesses must also be distinguished from board certification. The process of board certification pertains to helping the buying public understand the role of the American Bar Association (or the State Board, in states like Texas and North Carolina) in enhancing the status of a skilled attorney’s professional credentials. This valuable accolade shows that a lawyer in good standing has voluntarily put himself or herself through a grueling test for advanced-level knowledge by experts in that particular field of law practice to prove excellence beyond the range of a good or above average lawyer. What Is Board Certification in the Legal Profession? The concept for “board certification” was derived from the medical field. Lawyers wanted a higher level of proof of expertise, similar to doctors who can practice medicine in a State but perhaps need proof of specialization to obtain “privileges” at a local hospital to conduct surgery or give medical advice. So, as with medical doctors, board certification involves putting specialist attorneys through a rigorous, comprehensive written and verbal “approval process”. Then the conferring of Board Certification provides public information identifying the extremely small number of attorneys with specialized legal services available. 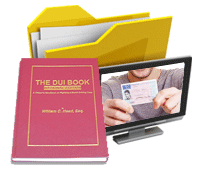 Numerous areas of specialization exist, such as criminal law, DUI, civil litigation, and other fields of law practice. AVVO.com was launched a little over a decade ago and has done the best job of all legal marketing and “rating” services by growing their website into a juggernaut. Over time, the company has delved into making money by offering their members a chance to take low-cost leads. This practice has helped them run afoul with several Bar Associations. 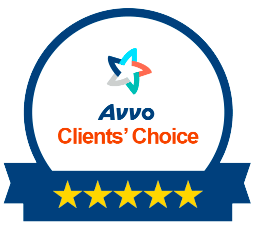 However, in 10 years, AVVO became one of the best known legal websites in the world. This spectacular rise in prominence has been primarily fueled by the listed AVVO attorneys donating content to their own profiles to help the site grow into one of the world’s leading digital properties. To give an idea of the legal website’s power in the market, AVVO has 1 million keywords, compared to Super Lawyers 256,000, and Martindale’s 42,000 keywords. 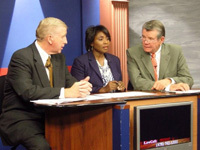 Georgia’s William C. “Bubba” Head is a criminal defense attorney in Atlanta and is an ABA board-certified DUI specialist. He can be reached at bubba@bubbahead.com or 1-888-DUI-HEAD [1-888-384-4323].